If this is our current academic and training situation for psychiatry nation-wide today, how do we as psychiatric practitioners of psychotherapy survive and hope to continue to survive in our activity? Actually, of course, there are still very many of us trained in the heyday of psychodynamic training programs in our residencies and now occupying positions of prominence in our professional communities across the country to whom the practice of psychotherapy is a vital exercise, both as a way to help people suffering from mental and emotional disorders and, at the same time, an exciting intellectual challenge and adventure, a way to understand ever more about the fascinations of the human mind. I can quote in this context a famous remark by Seymour Kety, one of the founding fathers of biochemical research within psychiatry, that he was very confident that some day we could have an adequate biochemistry of memory but he doubted very much, in fact could not conceive, that we ever could have a biochemistry of memories, that is of the personal store of memories that give each of our lives its individual richness of meanings and that is the central arena of the psychotherapeutic effort, to unravel and make coherent the development of a lifetime of experiences embodied in those memories, both those that are readily available to recall and those that we have had to disavow and banish via our various defensive and adaptive character forms and symptom formations. It is my own conviction, really my credo and article of faith, that there will always be people who will be drawn to this psychiatry and to the practice of dynamic psychotherapy and, some of them, to psychoanalytic training and practice, individuals who will be drawn to this particular intellectual challenge, the fullest exploration of and, hopefully, influence upon the inner workings of the human mind. There will also always be people gathered together in at least some psychiatric institutions and training centers who will respond to the increasing emptiness of the so-called psychotherapy training offered in the great majority of our standard residency training programs by offering two-year post-residency fellowship training in psychotherapy of the kind that the Austen Riggs Center in Stockbridge, Massachusetts was already pioneering in the late 1940s and in a day when standard psychotherapy training within our psychiatric residency programs was a quantum level more intensive than our average of today. And, of course, our psychoanalytic institutes will continue to offer the specialized training in psychoanalysis as the most intensive and extensive kind of psychotherapeutic work and while they are being fortified now by the recently newly-widened opportunities for non-medical routes to psychoanalytic training, I would hope that sufficient numbers of graduating psychiatrists would keep coming for this training so that, as in all the other countries of the world where psychoanalytic training is equally open to qualified medical and non-medical applicants alike, psychiatrists continue everywhere to be the largest group, up to two-thirds in most psychoanalytic institutes and societies around the world. I have, of course, not yet discussed the less sanguine economics of our coming psychotherapy practices. We are, all of us, painfully aware of so many of the influences upon our practices to which I have referred through the course of this chapter, not only the diversion of so many once psychotherapy patients into psychoactive drug treatments often administered by general physicians and family practitioners, not even psychiatrists, but also the proliferation of the ranks of non-medical mental health practitioners, the ever growing involvement in the private practice arena of the ever increasing numbers of clinical psychologists and psychiatric social workers and, more recently, of psychiatric nurses and pastoral counselors and MFCCs, a lot of them aided in their quest for clients by the growing numbers of would-be patients who avoid psychiatrists precisely because they see them as too quick to resort to drug therapy rather than talking therapy; and then also the various self-help groups, growingly popular and drawing often on a variety of sources suspicious of and hostile to the professionally credentialed who are so often disparagingly viewed as a self-serving and self-enriching establishment dedicated more to guild protection than to public service. Add to all of this the serious many-fold escalation of our hourly fee structure over these years as we psychiatrists have sought, actually vainly, to keep up with the income escalation of our medical and surgical confreres who can earn such very large incomes from the many very extensive and lucrative procedures of an increasingly technological medicine, not only surgery. All of this is having its inevitable effects, slowly becoming more and more apparent, that those of us who will continue to do psychotherapy because it is the most exciting and challenging thing for us to do within psychiatry and within medicine will have to gradually accommodate ourselves to a relative decline in remuneration as compared with all other physicians. The older and the longer established we are in our practices, of course, the less we will personally be affected by these trends and perhaps the more philosophical we can be about them. For the younger colleagues coming into our ranks the issue is very real indeed and it may sound like cold comfort to be told that however much the theory and practice of psychotherapy can endure, and even grow, and offer continuing unparalleled opportunities for adventure and research and even be restored at some point to a more balanced and appreciated position within the overall psychiatric pantheon, it is a future of relatively significantly diminished income and affluence and will have to draw those of us who continue to be drawn to it on the basis of other than economic considerations. None the less, looking beyond the confines of academic psychiatry and professional psychiatric practice in America to a wider purview, geographically and intellectually, the picture is not at all so one-sided. Worldwide, psychoanalytic ranks (and as a rough corollary, psychodynamically interested and committed psychiatric ranks), though only stable in the United States and, also, interestingly, in Great Britain, are in most other places on a remarkable accelerating upward spiral. 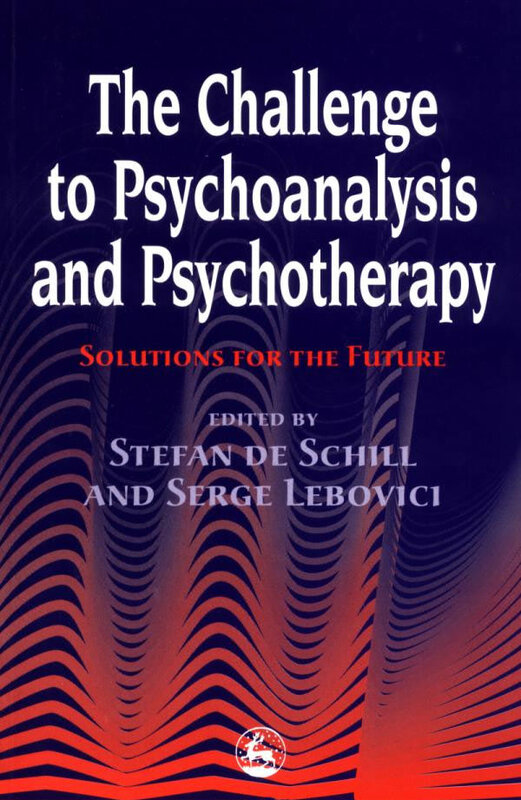 Psychoanalysis is, in fact, a major growth industry all over Latin America and Europe with truly explosive growth in such major nations as Argentina, Brazil, France, Germany and Italy, to say nothing of the burgeoning interest and growth in Asia with South Korea as the most recently emergent center of psychoanalytic ferment and, of course, with the collapse of the East-European communist world and its pell-mell rush westward, an intense new surge of psychoanalytic activity in the former Czechoslovakia, Poland and Lithuania and even in the Russian heartland where, after decades of being totally forbidden, a new translation of Freud’s major writings was published in Russian and sold out fully in its first week in bookstores. What all this adds up to, including these different time trajectories within Latin America and the European continent, as compared with the US and Britain, of scientific and professional interest in the Freudian idea and its therapeutic application in psychoanalytic therapy, is that psychoanalysis per se is growing in strength and influence world-wide, even as the American component, of course still the largest, is diminishing in its percentage role and has lost its erstwhile world dominance. A major indicator of this growing place of psychoanalysis in the intellectual scheme of things around the world is the extent, unthinkable in present-day America, to which the scientific and professional activities of psychoanalysis are foci of attention in the news media, influential daily papers, journals of opinion and radio and television programs in all the other major centers of psychoanalysis around the world. And even in America, where we have had to resign ourselves to a sadly altered position within our country’s medical schools and their departments of psychiatry, where few psychoanalysts or psychoanalytically-oriented psychiatrists anymore become chairs of departments of psychiatry (and when they do, it is usually despite and not because of this particular credential) as compared with the immediate post-war decades, when, as the Adolf Meyer-trained generation of American psychiatric leaders was coming to retirement, medical schools avidly sought to replace them with the psychoanalytically-trained who would bring psychoanalytic teachers into their departments to teach psychodynamic theory and psychotherapy, even here and despite all that, psychoanalytic thinking is currently, today, spreading and finding new roots and strengths within the wider university world and its graduate academic departments. There is rising psychoanalytic interest in the university today, across our country, though most notably at particular major research universities, including, incidentally, UC Berkeley, in departments of English and French and comparative literature and philosophy, not to speak of cognate social sciences like sociology and anthropology. I must believe that this continued and growing psychoanalytic intellectual vitality within American university academia will provide a continuing nourishing current that will help foster that more balanced era I see ahead, though not at all in the immediate future, when organized academic medicine and not just psychiatry will again enlarge its vision of health and illness beyond the particular natural science perspective provided by molecular biology and molecular genetics. In the meantime, psychoanalytically-grounded psychotherapy training still manages to survive (perhaps even there, more as an ideological statement than as an adequate teaching and learning activity) in certain of our medical school academic residency training programs that have been its traditional prestigious bulwarks, like Cornell and Yale and Colorado and some of the other major centers in New York and Boston particularly. This, however, is admittedly spotty and nowhere really adequate, and, additionally, as compared with all the other disciplines in medicine, psychiatric training programs not only vary greatly in quality and prestige—which is true of specialities but, uniquely, vary equally greatly in their programmatic and ideological and intellectual emphases so that there have always been anti-psychotherapeutic, even anti-clinical, strongly and one-sidedly research oriented, and by this is meant bench research in laboratories, programs, and their numbers have clearly increased dramatically over recent years. And this is to say nothing of the separate story of the gradual disappearance of the psychiatric residency programs in the community general hospitals of this country—for example in the San Francisco Bay area, the shutdowns of the psychiatric residencies, once very major in size, scope and influence, at Mt. Zion Hospital in San Francisco and Herrick Hospital in Berkeley, and the very current moves in that direction at St. Mary’s in San Francisco. These residency programs, once bulwarks of clinical psychotherapy training in this and other metropolitan areas over the country, are falling victims to the harsh economics that make primarily outpatient-centered residency training programs in psychiatry increasingly growing deficit enterprises to the point where community general hospitals find them increasingly insupportable, in contrast to all other medical disciplines which are primarily hospital inpatient centered, where then the costs of residency training can be folded into the bed care costs of the hospitalized patients and covered adequately by the hospital’s usual mix of governmental program support, like Medicare and Medicaid, private insurance coverage and bearable out-of-pocket expenses by the patients. This economically-driven trend, which is another story of its own and which it would be a real digression to try to discuss in detail here, is driving psychiatric residency training out of the community general hospitals all across the country and pushing the training, apart from the medical schools that are of course committed to residency training in all medical disciplines, into exclusive reliance on government-funded institutions, the Veterans Administration and other federal installations, the large state hospitals and the public county hospitals in the larger cities of this nation. With a few notable exceptions these government-supported hospitals have not been significant bastions of dynamic psychotherapy training. Which brings me to the end of my overall message about the present status and the future prospects of psychotherapy as an intellectual activity and as a professional practice. It is clearly not an ebulliently expansive message, nor could it be at this time. But it is a dedicated, as well as, I hope, a realistic message and a reasonably unblinking prognostication. I mentioned before a credo and an article of faith. I have been fortunate to have lived my scientific and professional career over what have been the expanding and halcyon days of the psychoanalytic and psychotherapeutic enterprise to which I have so contentedly dedicated my working life. I would like very much to believe that I would feel the same curiosity about the human mind and desire to better understand it while trying to ameliorate its dysfunctionings that would draw me to seek the same training and to try to chart a similar career if! were several decades younger and just now making those lifetime career and work choices, despite the more stringent economic prospects and despite the far greater difficulty today than it has been over my life span in pursuing the kind of career in psychotherapy researach within psychiatric clinical and academic institutions that it has been my rewarding privilege to have enjoyed. At least I believe in all this enough to have been moved to prepare this chapter and to try to extract for us still hopeful possibilities from more problematic circumstances. And I trust that you also believe in it all enough to want these issues appraised as realistically and comprehensively as possible, the better to help you deal with today’s realities in the context of enduring hopes and an enduring vision of the high human worthwhileness of what we do.